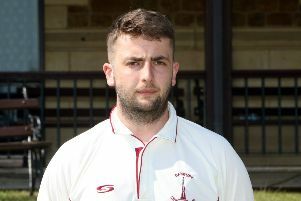 Banbury captain Lloyd Sabin knows a fifth straight win could take his side top of the Home Counties Premier Cricket table on Saturday. Aston Rowant are the visitors to White Post Road for Saturday’s division one fixture to face a Banbury side who are now just two points behind leaders High Wycombe. Richard West is unavailable so Sabin will decide who he brings in from three possible replacements for the all-rounder. Banbury are into the next round of the Oxon Knockout Cup. The holders beat Cumnor by eight wickets in Tuesday’s first round tie.